There's an understanding in Adelaide that street names don't cross King William, but across Dequetteville Terrace, King William Street has a very different appearance and pace to it, as this emerging neighbourhood welcomes new locals to its mix of classic auto garage heritage. The Verde apartment development on King William Street, Kent Town has brought a lot of diversity and new business to the classic, working class strip more known for its panel beating than paninis. 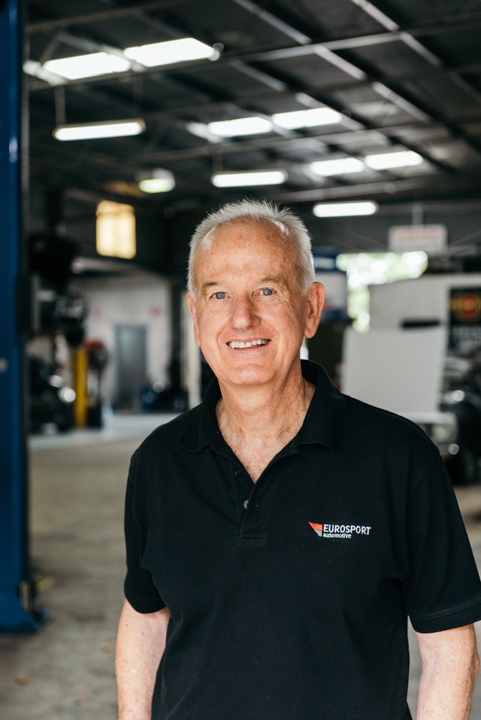 But just up the road from Pan and Vine, the Italian vibe continues with, perhaps, even more authenticity at Eurosport Automotive. The motor garage is typical of King William Street, Kent Town, which features at least half a dozen car-related businesses. 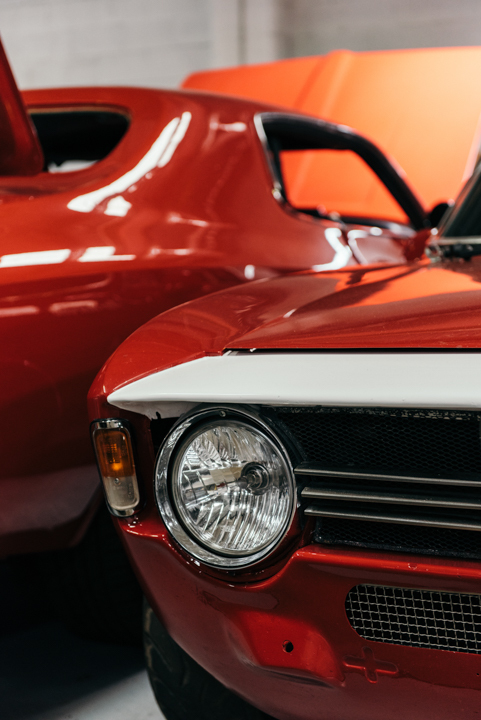 Peter Axford’s business, however, caught our eye due to the unique, vintage Alfa Romeos we could spy through his open garage door. Peter was a flight attendant with Qantas for twenty years before buying Eurosport in the early 2000s and relocating the business from Woodville Park to Kent Town 13 years ago. “It’s grown out of a passion, I suppose,” he says. Peter’s met us at the front desk of his shop, where we arrived with a camera and notepad entirely unannounced. Far from flustered he proudly points to the framed pictures of Alfa Romeos lurching around racetrack corners. “That one’s me and that one’s me.. over there – that’s me,” says Peter, pointing to the images he can take credit for. A true credit to Peter though is the immaculate workshop he tours us through, after we call in without warning. There’s an Audi up on the lift and a Volkswagen SUV driving in from out the back, which implies it’s not just Alfa Romeos they fix here. But it’s the vintage beauties in red and blue that stop us in our tracks. Fighting fit, Peter is nowhere near retirement in our estimation. His workshop is humming with mechanics and the throb of well-oiled machines. One worker has grabbed an early lunch, pulling out a sandwich from some wax paper and pulling up an old oil drum as a make-shift seat in the sun. As the mechanic uses the wax paper expertly to shield his multigrain bread from his oil-stained hands, we can imagine this is a routine built up over days, weeks and years of doing the same thing. Neighbourhoods thrive when time allows the inhabitants to create little ways of doing things and ways of being, and while the new development down the road has brought new residents to this area we see great value in maintaining King William Street Kent Town’s working class roots.